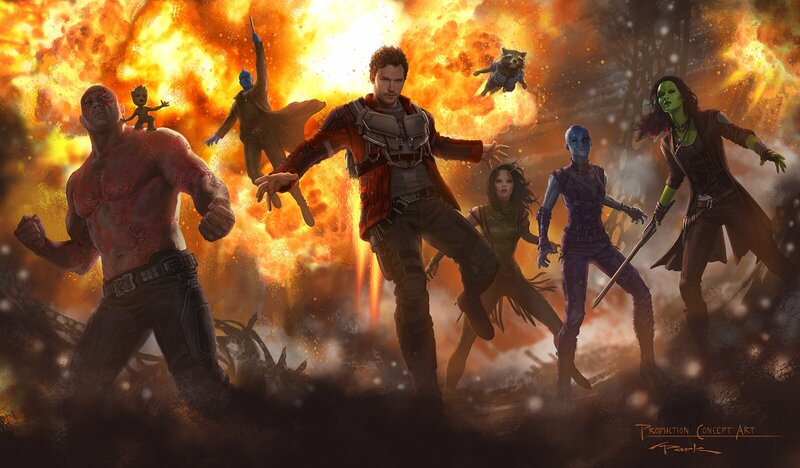 Of what feels like the thousand movies Marvel Movies have planned for the freshly started Phase 3, we are all in agreement that Guardians of the Galaxy Vol. 2 is the one we all can’t wait to finally hit the big screen. With San Diego Comic-Con taking place next week, director James Gunn promises some announcements regarding the return of Marvel’s favourite bunch of a-holes, but EW has something special for us, revealing this awesome piece of concept art from the highly anticipated sequel.